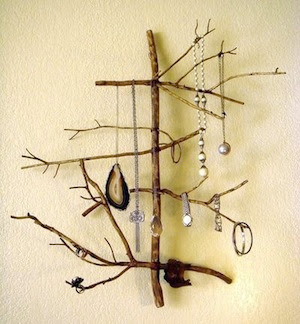 This branch design is so simple and a work of art unto itself. I have been collecting resources for a series on branches in decor and I think this would add a wonderful natural element to any bedroom. 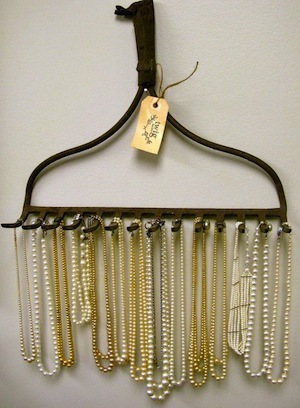 This rake up-cycling project would fit right into a home with vintage or cottage items. It is also stronger than the twigs for heavier jewelry. 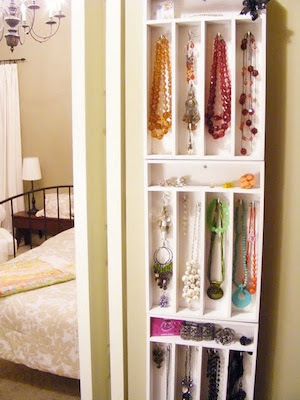 Here is a re-purposing of the classic wooden cutlery tray, painted white, hooks added and mounted in triplicate. 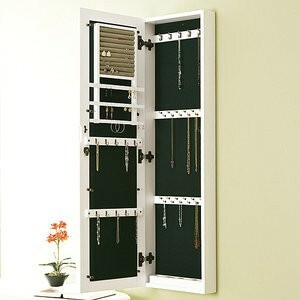 This would be hugely functional mounted inside your closet door.